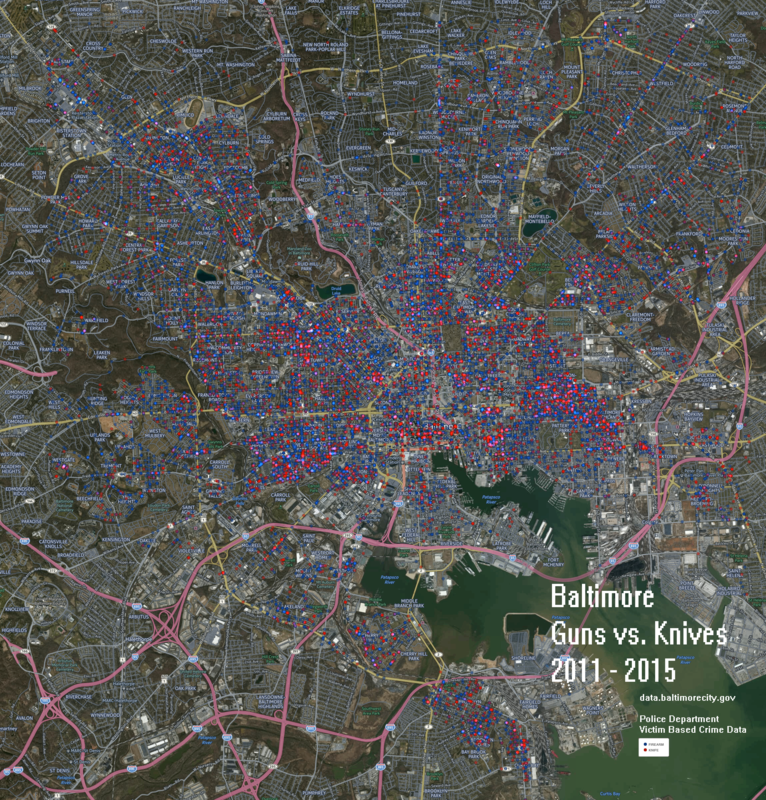 Another look into Baltimore’s open data. Time Range ~5 Years worth of BPD Part 1 Victim Based Crime Data. Only weapon values for knife and firearm were included. This entry was posted in DataViz on 02/16/2016 by MantasCode.